Goose Creek Police seek help locating runaway | Crime Stoppers of the Lowcountry: 554-1111 | 1-888-CRIME-SC | Anonymous tips earn cash rewards with Crime Stoppers of the Lowcountry. GOOSE CREEK, SC - The Goose Creek Police Department needs your help locating Jazzmin Symone Smith (pictured to the right), who was reported as a runaway on July 4th. According to her mother, Jazzmin was last seen leaving her residence, located at 304 Jean Wells Drive in Goose Creek, around 12:52 am. on July 4, 2010. 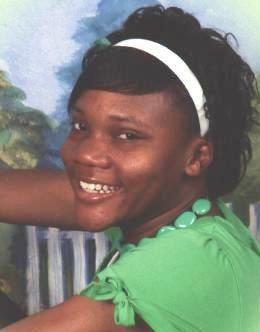 Jazzmin, 16, was last wearing blue jeans, black flats (shoes), and an unknown color shirt. She currently has black and brown braided hair and has no known distinguishing marks or tattoos. She is 5'6" tall and weighs 130 pounds. The latest information we have is that she may be in the Summerville area. If you have any information on her whereabouts you are asked to contact Inv. Maggie Carver of the Goose Creek Police Department at telephone number (843) 863-5200 ext. 355.